As you collect the Totem Stickers scattered throughout The Alola Region, you will be awarded for all your hard work from Samson Oak with what are known as Totem Sized Pokemon. These Pokemon are the Totem Pokemon found during the Trials apart of your Island Challenge. 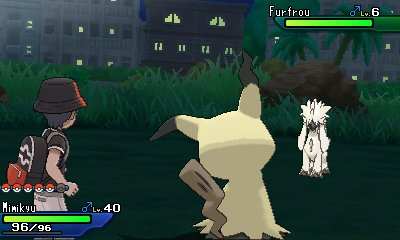 Totem Sized Pokemon have larger spirits than usual, having different heights and weights than what these species of Pokemon usually have. Besides that, however, these Pokemon differ in no strategic way than in their Base Forms. Totem Sizes cannot be passed down through breeding, and Totem Sized Pokemon cannot be shiny.